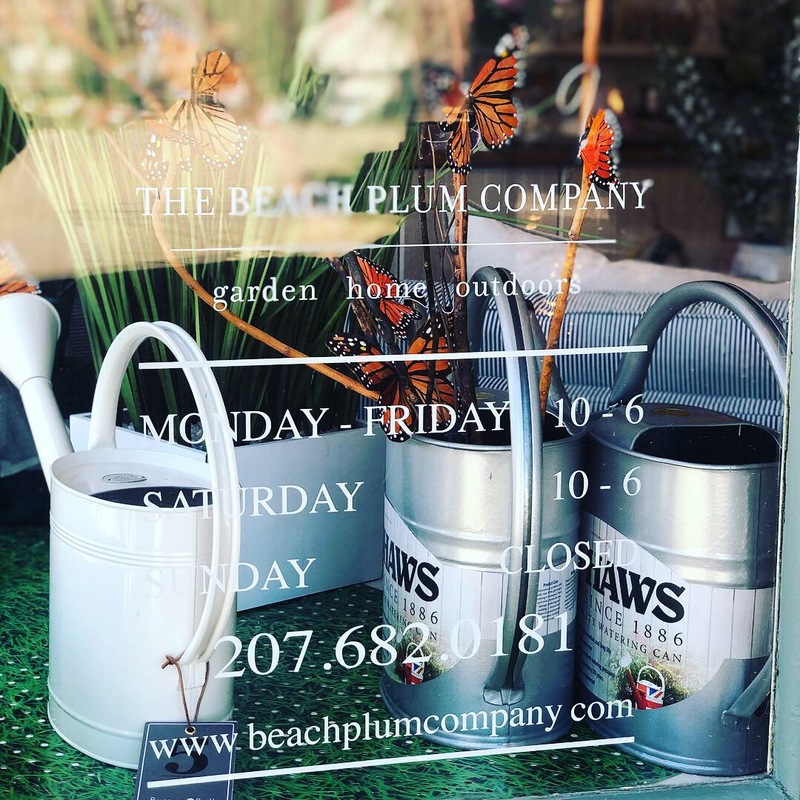 The Beach Plum Company shop is located in Newcastle, Maine. Just a short walk across the bridge from downtown Damariscotta in beautiful midcoast Maine. The shop is open Monday through Saturday from 10am to 6pm. We close the shop seasonally in January to (and possibly through) February. We may also close throughout the year for inventory, for a long weekend, for a break after a busy season, for my birthday, for a family emergency (including dog emergencies), and for severe weather as well as for short periods each day to check the mail. Please check our social media feeds and the website for updated information on planned closures. We accept Cash, Visa, MasterCard, American Express, Discover, ApplePay etc. Natural Skincare: Please keep in mind that most of the skin care products you are buying are made for The Beach Plum Company by hand in small batches and are 100% natural so they tend to have variations from batch to batch (slight changes in color for example). We currently ship to addresses in the USA only. Items ordered and paid for will ship after 2–5 business days, unless otherwise noted in description of product. We primarily ship through UPS, FedEx and USPS. After leaving our facility, UPS, FedEx and USPS typically deliver in 2–5 business days. You will receive an email notification from us that contains tracking information once your order has been shipped. If you have any problems with your order (not received, not what you were expecting, etc.) please contact us as soon as possible so that we can correct it. We want happy customers and will always do everything possible to resolve any situations that may come up. We're happy to answer questions or help you with returns. Please call us at (207) 682-0181 if you need assistance. You can also email us directly at customerservice@beachplumcompany.com. You should expect to receive your refund within four weeks of giving your package to the return shipper, however, in many cases you will receive a refund more quickly. This time period includes the transit time for us to receive your return (5 to 10 business days), the time it takes us to process your return once we receive it (3 to 5 business days), and the time it takes your bank to process our refund request (5 to 10 business days). If you must return an item, please email us with your order number and details about the product you would like to return. We will respond quickly with instructions on how to return items from your order.